We have a collection of Trampoline Springs. 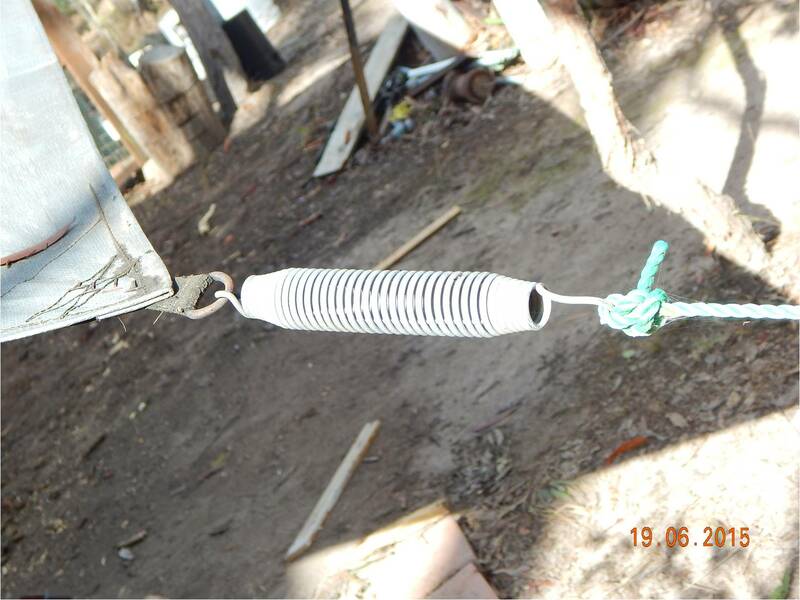 The humble tramp spring is very handy as a good strong durable spring, and usually can be found in multiples, and . . most times for free. We have found they are especially handy for keeping gates closed. And another use for them is to keep tension on a tarpaulin. GATES The photo below shows a gate with a spring fitted on a predominately vertical angle. This angle helps to soften the tension on the gate, so it closes more gently rather than slamming hard behind you. The spring below is fitted to tension the gate so it closes very firmly, with no chance of it blowing open in a strong wind, or being nudged open by a dog’s snout. 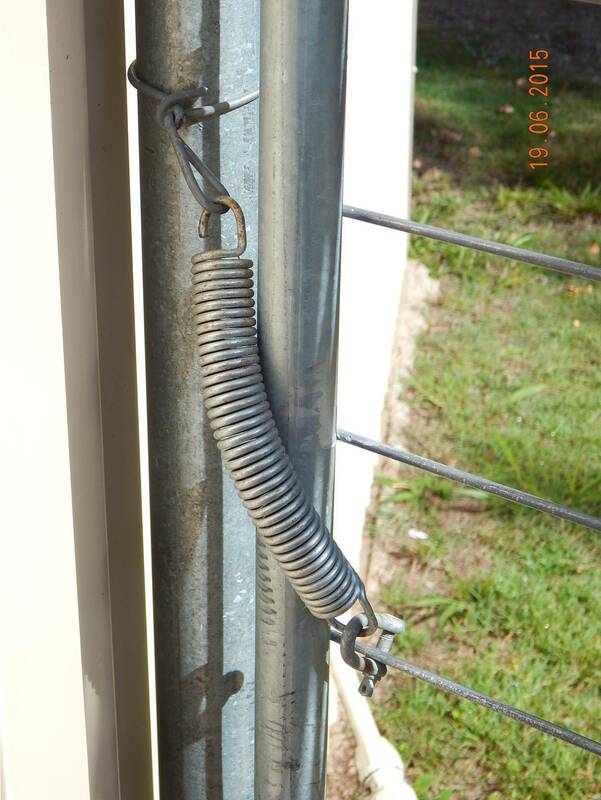 We used a very small ‘D Shackle’ to connect to the gate, which are cheap from hardware store and ideally suited to this application. We used Vice Grips to grip the spring and heave it round to hook on the gate or the D shackle. TARPS The photo below shows a spring tensioning a tarpaulin, by tying the rope to the spring and connecting the spring to the corner of the tarp. 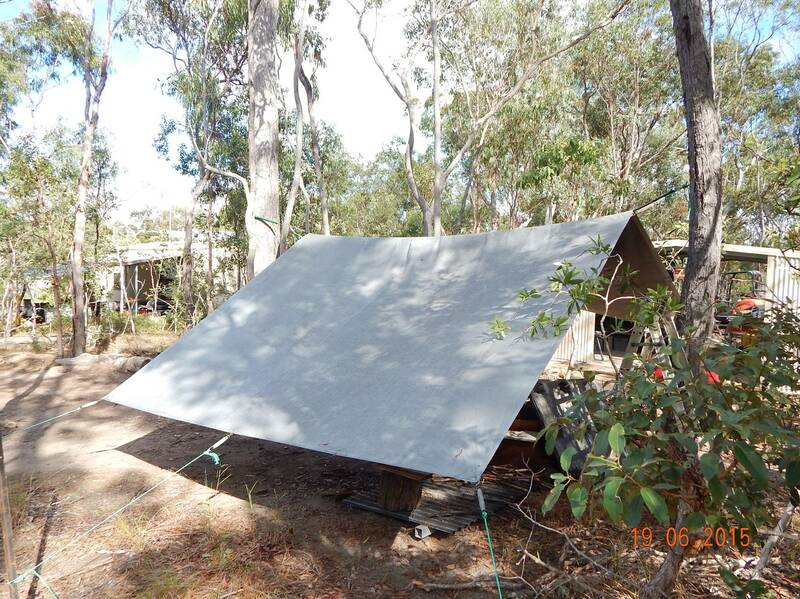 The tarp stays fairly taught at all times and is much less likely to balloon out and rip or break free. Categories: Building & Planning, Handy Hints & Good Ideas | Permalink.